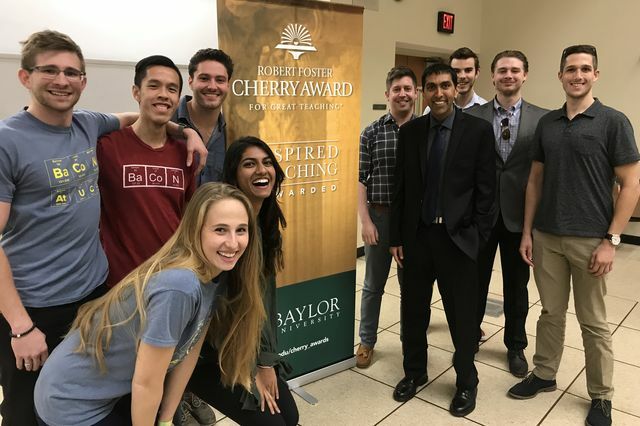 Congratulations to Professor Neil Garg, Recipient of the Baylor University’s Robert Foster Cherry Award for Great Teaching! California Professor of the Year Neil Garg is the 2018 recipient of the prestigious Robert Foster Cherry Award for Great Teaching. The Cherry Award honors outstanding professors who are extraordinary, inspiring teachers with a positive, long-lasting effect on students and a record of distinguished scholarship. View the full article in the UCLA Newsroom.